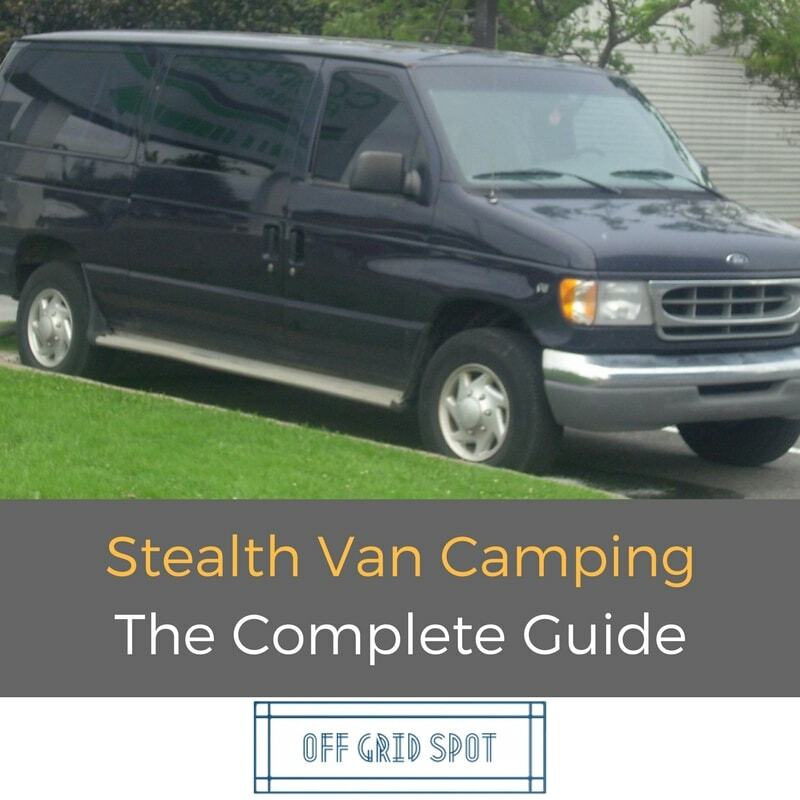 This post will be continuously updated as I experience and learn more about stealth van camping. I've been living in my stealth camper van for over a year now. And I wanted to put all I have learned into one complete guide to help anyone considering stealth camping short term, or long term as a lifestyle. Stealth camping is a general term applied to the act of camping anywhere in secret. Backpackers and long distance cyclists may stealth camp on private or public land while out in the wilderness. More recently stealth camping has been associated with van dwellers and people sleeping in cars, trucks and vans in urban areas. This article will focus on what I have learned living in a stealth van. My stealth camper looks just like a regular van from the outside. 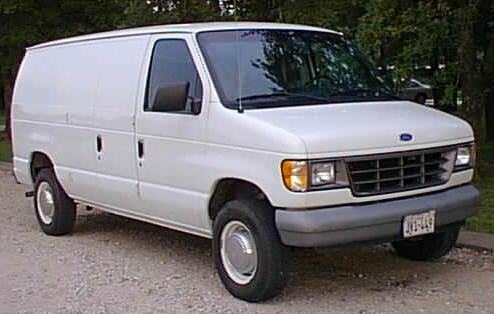 What is the best stealth sleeping van? Obviously the best stealth vehicle is going to be one that doesn't look like anybody is living in it. How stealth you want to be is up to you. The ultimate stealth is going to be living in a car. With no solar panels or roof vents on the outside. You will need to black out the windows to disguise the sleeping area. But with a car setup you can drive and park almost anywhere you want and not arouse suspicion. Of course a car is going to be very limited in space. So what you gain in stealth you lose a lot in functionality and practicality. The next step up practicality wise is going to be a minivan. This is pretty much as stealth as a car, but gives you a lot more possibilities for creating a usable living space inside. You're still going to be quite limited space wise, but check these minivan camper conversions for some creative design inspiration. For me, the best option is a converted panel van or cargo van. This gives you the biggest area to work with to create a living space in the back. Yet they're so ubiquitous that people won't usually give a second thought to seeing one parked up. Depending on the size and model, a converted cargo van can have all the amenities of a typical RV, but with a stealth and unsuspecting exterior. Pro Tip: You want your van to be unmemorable. Don't have decals, stickers or crazy paint jobs. 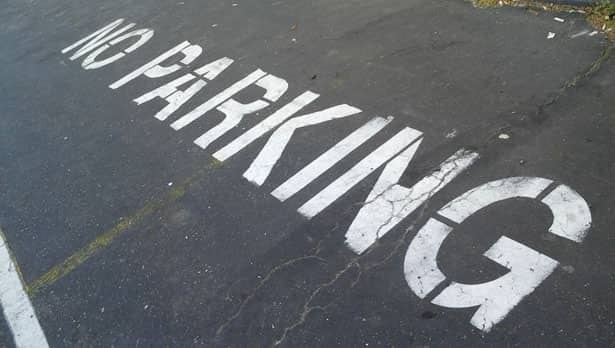 Anything that makes you stand out increases the chances of authorities or residents noticing your parking habits. Be as bland as possible. Is sleeping in a van legal? I can't really give a definitive answer to this. Each town/city/state will have their own regulations. So you should check with local ordinances. But in general, it is NOT an offence to sleep in your vehicle. In fact in the UK Highway Code it is actually recommended that drivers take short breaks or naps after every 2 hours of driving. The problem isn't usually going to be that you're sleeping in your vehicle, but where you park. A big concern many prospective van dwellers have is where to park. This is much less of a problem than people think, especially since we're going stealth. This means parking in the street among other vehicles. The options for street parking are practically endless. Provided you aren't parked in a reserved or illegal space, you can park just about anywhere. Be mindful when sleeping in residential areas. It's better to park where there are a lot of other vehicles coming and going, like outside large apartment buildings. In smaller more secluded streets, the residents might notice an out of place vehicle and become suspicious. 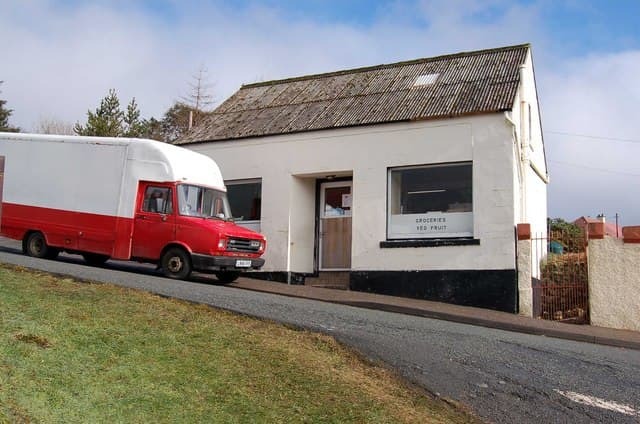 If your van is a particularly unusual sight in the area, they may call the police. Parking at business parking lots is another option. Many places such as Walmart have a friendly attitude to RVers and allow them to stay overnight. Make sure to check for "No Overnight Parking" signs, or signs that limit your parking to a set number of hours. Always be respectful of a companies regulations. Don't park up and treat it like you're in a paid RV park. Keep quiet, go as unnoticed as possible. Imagine you had a house and you allowed a friend to park in your driveway. You wouldn't like for them to break out their awning, camping chairs and gri﻿﻿ll and be rowdy half the night would you? In general, when you're out in the middle of nowhere you're going to have a lot more parking freedom. In fact, there are actually millions of acres of land throughout the US available for you to legally camp on for free. The camping land BLM offers is known as "dispersed camping". This means you can camp anywhere you like, but with nothing provided. You won't find dump stations, water, toilets or any designated parking spots. You are on your own and you should leave the land exactly as you found it. As before, remaining stealth is in large part about etiquette. If you light a camp fire, be sure that it is permitted to do so and clean up after yourself. Be a responsible citizen. 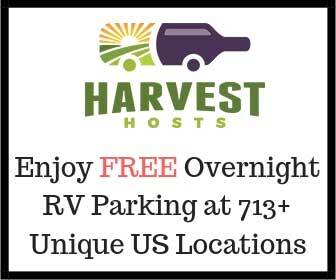 Pro Tip: Check out this website which provides a network of farms, wineries and other land owners who will allow RVers to stay overnight for free. This list of tips isn't in any particular order, but this one is absolutely #1. Wherever you go, wherever you park, being respectful of the laws and community where you park should be your top priority. Leave no traces, make no noise, cause no disturbances. Always being considerate of the neighborhoods you park will make not only your life easier, but the lives of everyone in the RV and van living community. Continuing on with the above, being stealth means no being seen, and not being heard. Turn off all lights or have good blackout shades so no light escapes outside at night. Even just someone seeing a light on in your van or hearing you laughing watching a movie could spook them and cause them to call the police. Always look out for signs prohibiting you from being there "Private Property" and "No Trespassing" signs as well as "No Parking" signs . But also be aware of places that might be considered extra suspicious for a strange van to be parked. Don't park next to a school or a children's playground or anything of that nature. It's always good to know you have a clear exit strategy wherever you park. You don't want to park somewhere to sleep and wake up to find you've been hemmed in by another vehicle, or that gates have closed and you're now stuck. Know where you are and how you're going to get out. When you choose places to sleep, they should be different to the places you hangout during the day. Have daytime and night-time parking spots. So you can go about your day in daytime areas, and when it comes time to sleep, you drive to your chosen night spot and you sleep. Don't sit up working or watching TV. Arrive only when you're ready to sleep, and whenever you wake up, you want to leave as soon as possible. Drive somewhere else to brush your teeth and make your breakfast, reserve your night spots for sleeping only. If you're travelling a lot this happens by itself. But if you're living in one city for a prolonged time, try to find at least 5 night spots and cycle through them. This way nobody will ever recognise your van as what seems like a permanent fixture in their neighborhood. If you're always in the same place people will start asking questions and worrying what you're doing there. If you have to park in a dangerous area or somewhere you're not sure of, don't park somewhere too quiet. Try to find a 24 hour gas station, a police station, or somewhere else with a natural deterrent to would-be criminals. Blending in is a big part of being stealth, it's much more important than hiding. Being stealth is all about hiding in plain sight, not in the shadows. If someone sees your van parked where other vehicles are parked, they won't think much of it. But if you're at the far end of a dark street, looking like you're trying not to be seen, you're much more likely to arouse suspicion. This leads on from having designated night spots. But even if you're travelling, try to plan ahead and know what lies ahead of your journey. You want to have a rough idea of places you can stop to sleep without having to creep around too much or driving in circles. 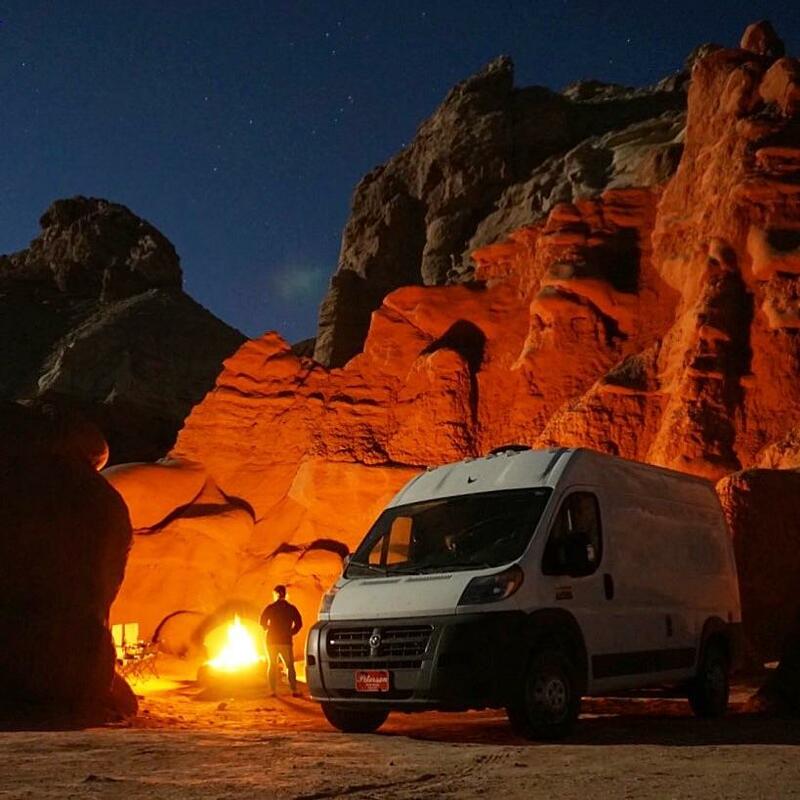 Ultimately, stealth van camping can be fun and rewarding as well as save you a lot of money. But with the social media inspired boom in van living in recent times, it's becoming increasingly important to adhere to the stealth component of urban stealth camping. We don't want everyone choosing this lifestyle to get a reputation for being a nuisance. So please, always be respectful of the communities you park and leave no trace!